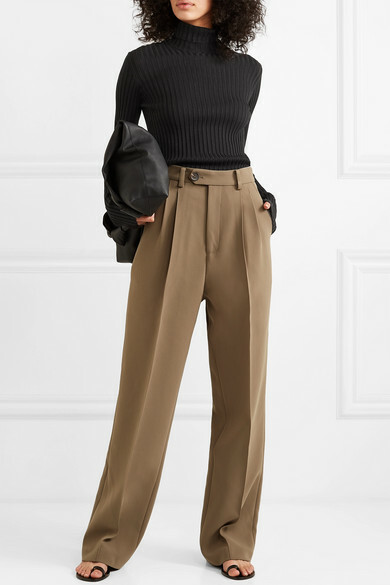 If you covet Victoria Beckham's personal style (and who wouldn't?) 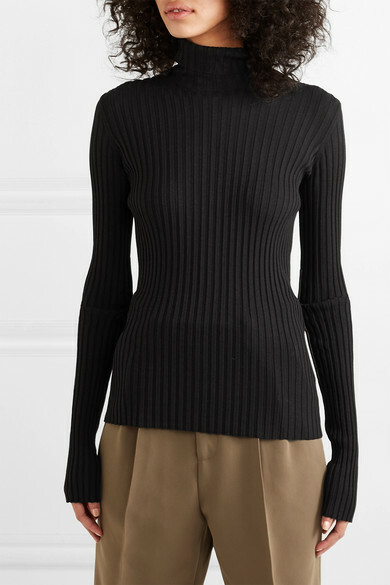 the first thing on your wish list should be an elegant turtleneck sweater. 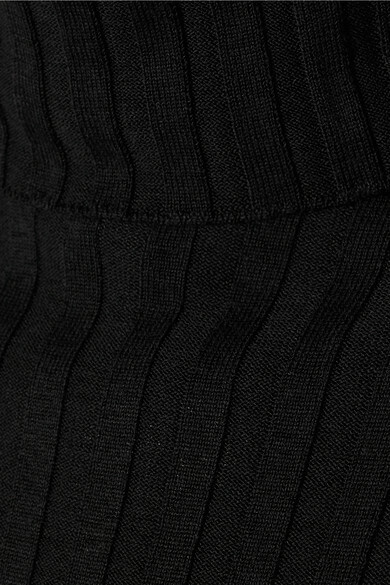 This one is knitted from cotton-blend that's woven with stretch and ribbed for a perfect fit. 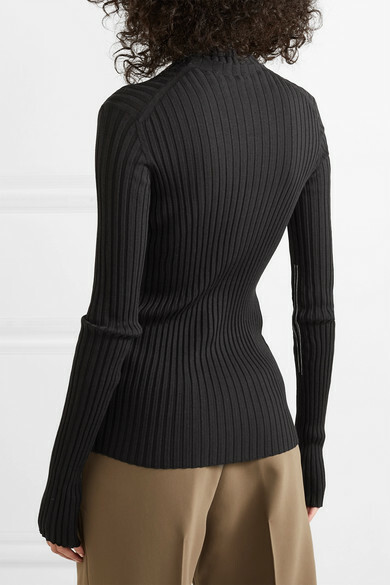 The elbows are top-stitched to create subtle gathers through the exaggerated length. Shown here with: Peter Do Pants, The Row Shoulder bag, ATP Atelier Sandals, Jil Sander Belt.